As you all know by now, I get inspired by lighting design wherever I go. 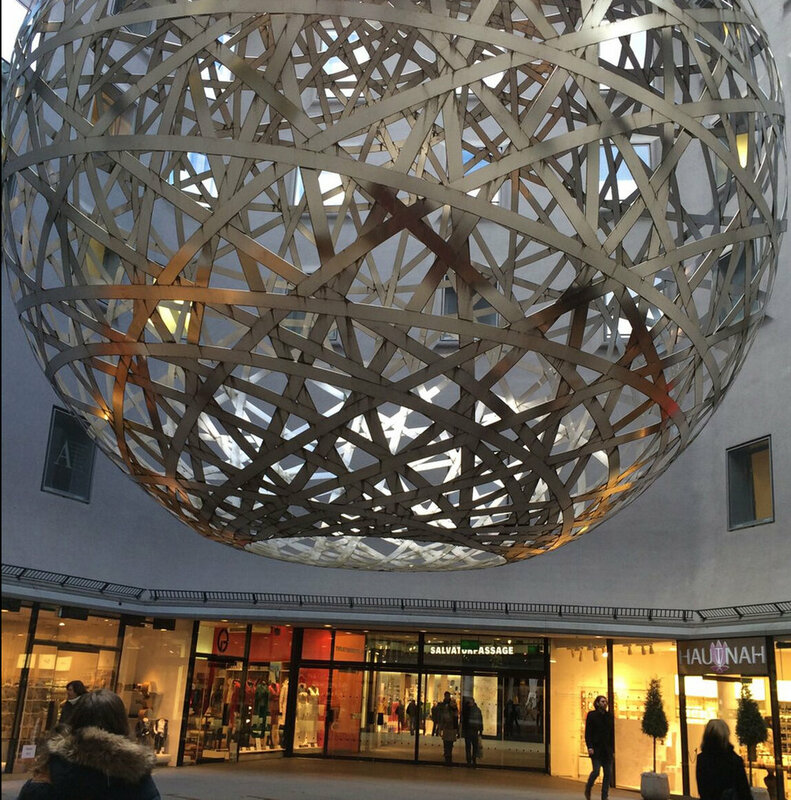 Here I was in awe with the incredible lighting installations in one of the newest downtown shopping centers downtown Munich, Fuenf Hoefe, which translates to Five Courtyards. The five courtyards that are connected with indoor passageways somehow appear as an oasis in the otherwise bustling city. A tranquil setting and high-end stores with attractive displays throughout make for a nice shopping/strolling/people watching experience. 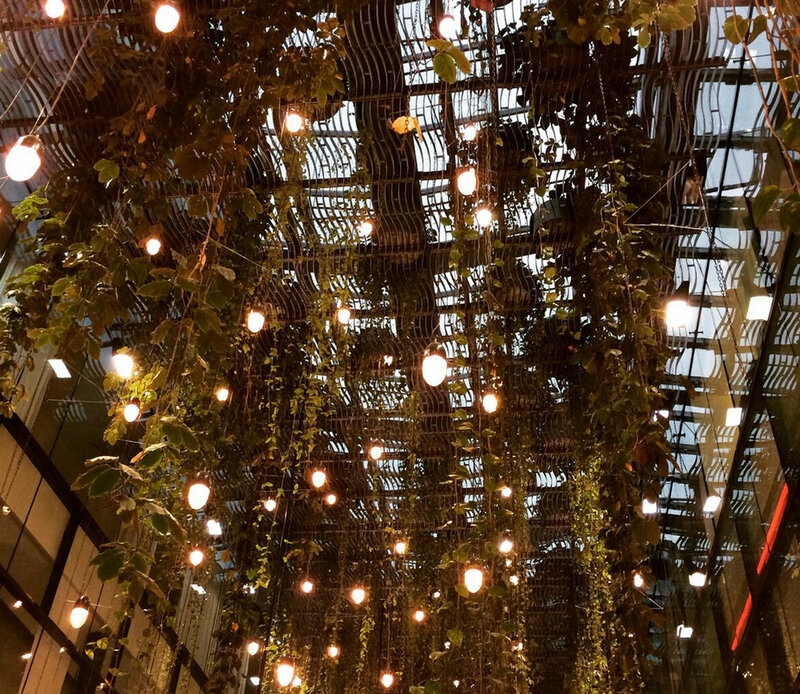 I was intrigued by the large installation of live plants and LEDs that help keep them happy. Intriguing juxtaposition of a centuries old mural framing contemporary pendants.